Nightmoods Matress is a Good Quality allergy free all natural 100% Cotton Fabric. All foam is NON-ALLERGENIC, Ultrafresh treated, and is made without the use of CFC'S. The Nightmoods mattress quilting content is made of 30mm Dunlop Ultrafresh quilting foam and 30 gram strongbond non-woven polyproplene. The mattress is made of two (2) sheets of 25mm poly felt without evolution insulation pads. 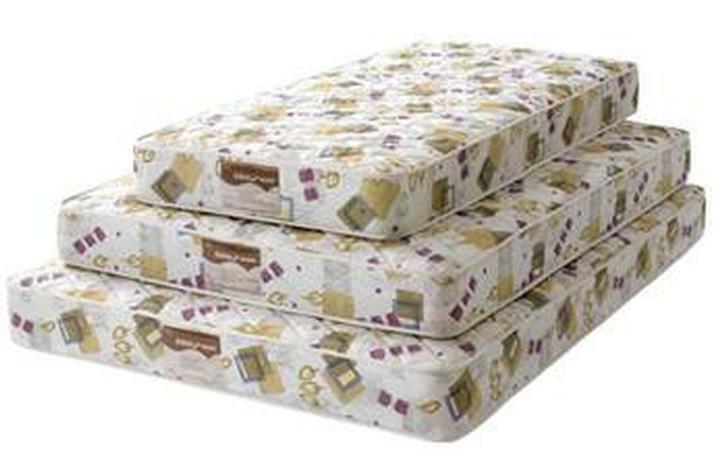 The Nightmoods mattress is made with thirteen (13) gauge individual Bonnell multi spring units with five (5) turns. Bonnell springs are world renown for reliability. The Nightmoods mattress is 100% Australian Made and comes with a 1 year warranty period.